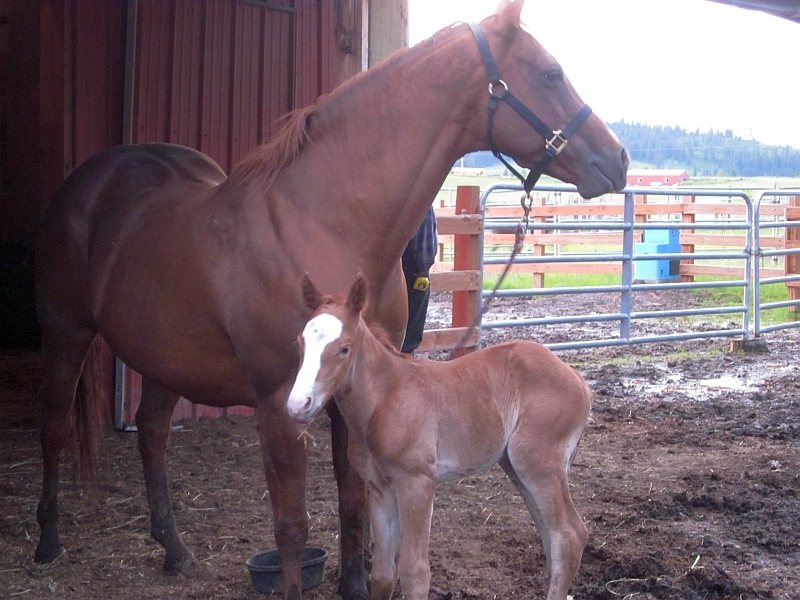 Our neighbors had a little colt born yesterday. We went over to admire the new arrival (still unnamed) -- what a doll! Needless to say, mama was being very protective. Our neighbors tied her for a few minutes while they examined the baby. 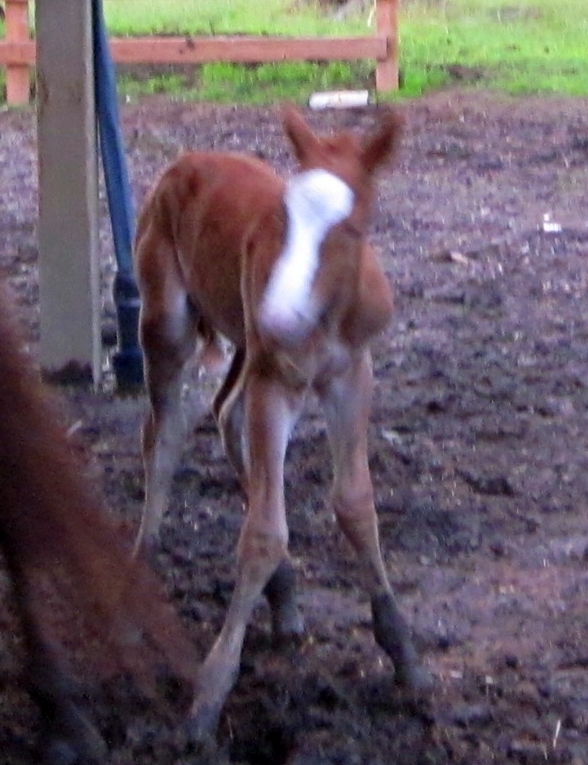 As we watched, the colt dozed off right in front of us, standing on his feet. Have you ever seen anything so knock-kneed? 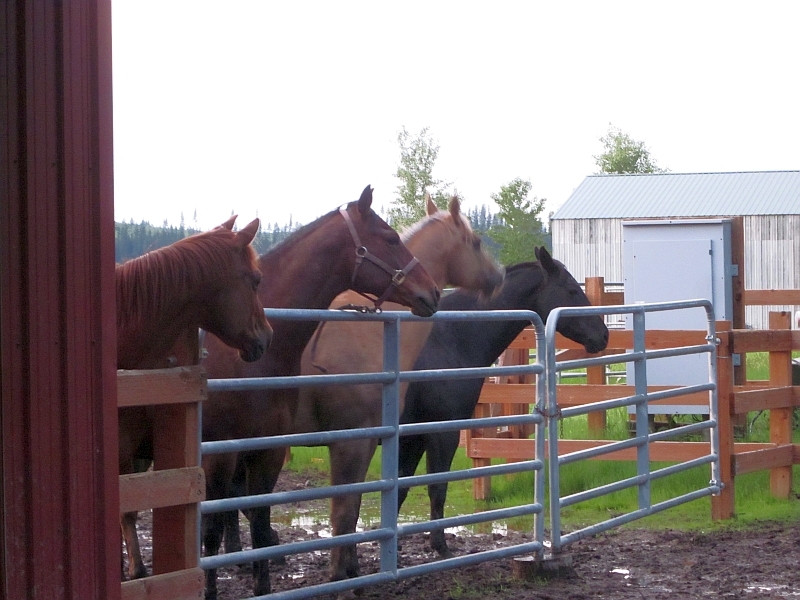 The other horses were wildly curious about the newcomer, of course. 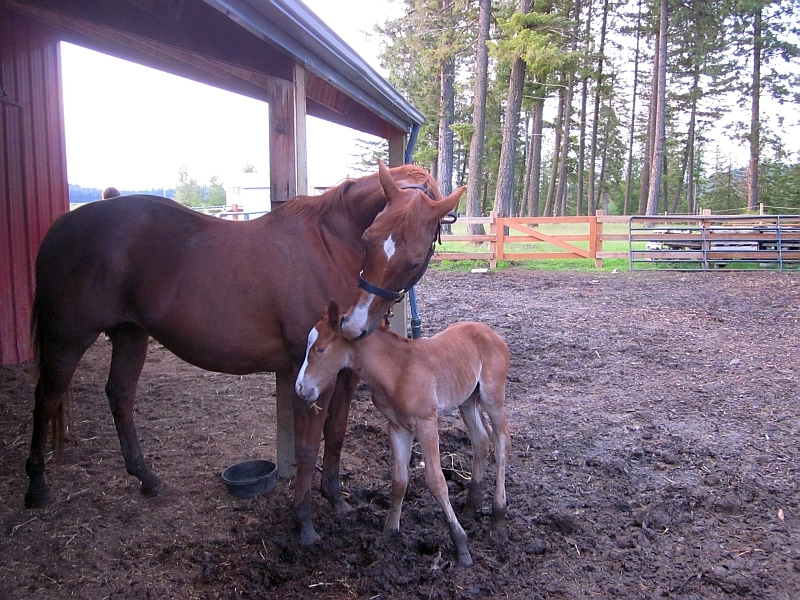 But mama carefully tucked her baby away for the night, out of sight. 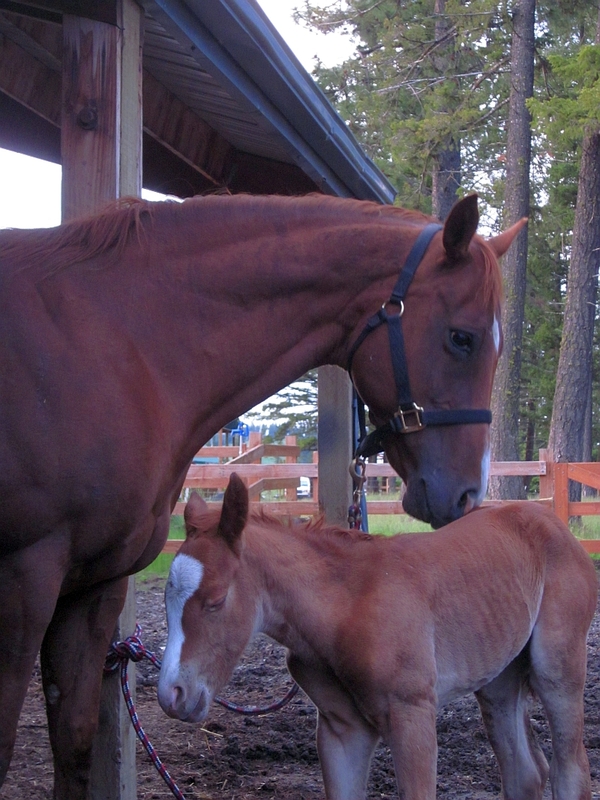 'Hope they name the little cutie "Blaze". Oh, how I always wanted a horse - any horse, as long as it was MINE! 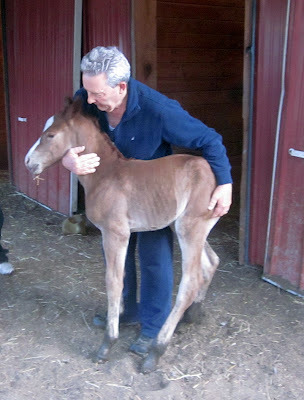 Our little filly (Pixie Dust) just turned 2 months. Her training has fallen into my hands and it has been one of the most amazing experiences! Their capacity for learning simply astounding. Congrats to your neighbors! My daughter and I are thinking up names. That white stripe on his face looks like a ski slope. So they could name him Ski, or Black Diamond. The husband suggested Bunny for bunny slopes. What a cutie! 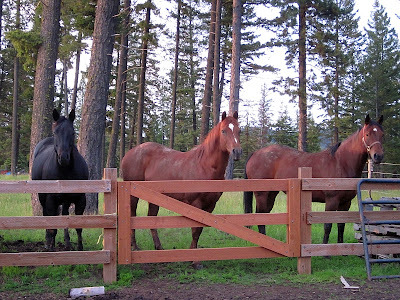 We love horses around here. 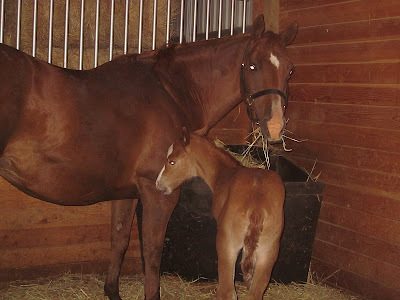 Beautiful colt! You can tell that this family truly takes care of their horses. Thank you for sharing pictures. 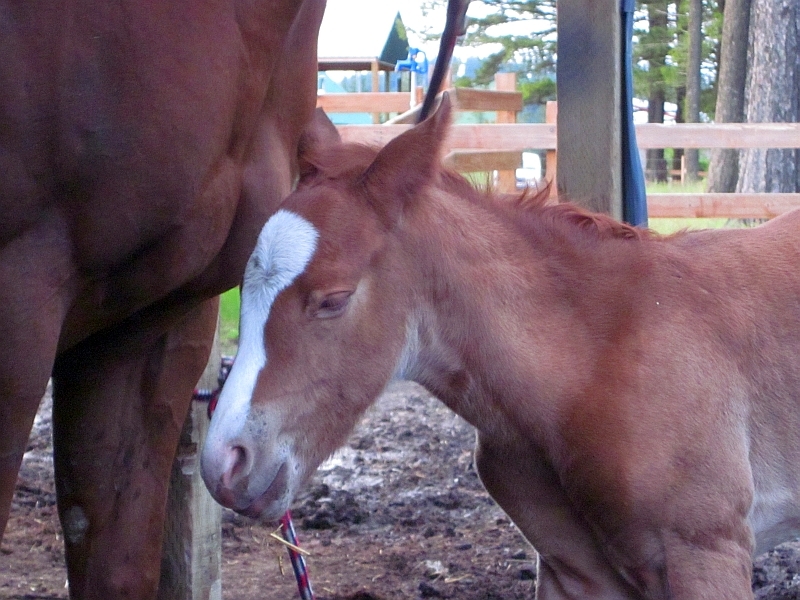 Nothing is more magical than waking up in the morning to a new baby in the stall. 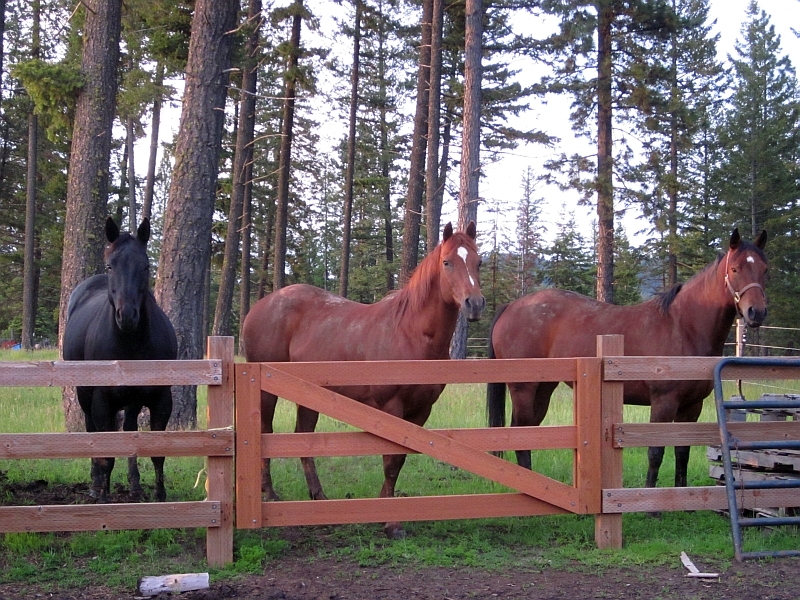 Their horses looks so healthy and they have beautiful coats! A wonderful sight to see! 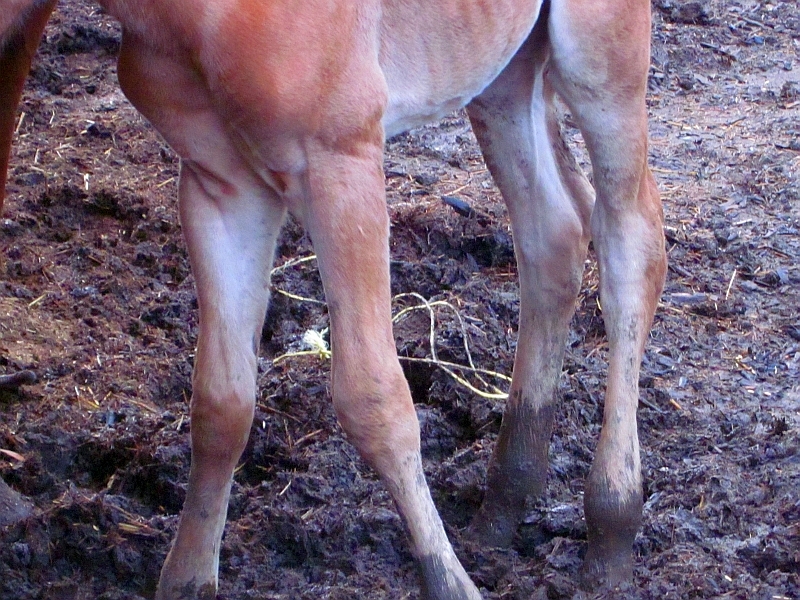 I love leggy, knock-kneed, sleep-eyed horsey babies!